The script of Rabri Devi’s journey from her ancestral home in Selar Kalan village to 1 Anne Marg, her official residence as the Chief Minister of Bihar, appears to be borrowed directly from a Bollywood movie. This journey into limelights began right from the time when Rabri moved into a one room chaprasi quarter of the Patna Veterinary College which housed her husband, his elder brother and his wife, and more than half a dozen children. Now the leader of the Opposition, she awaits her chance to yet again take a shot at the chief minister’s post. Rabri’s ascendancy was taken by many as the rise of women power in Bihar. Her humble background and the rustic touch perhaps inspires millions of women who never get an opportunity to acquire a good education because of the social prejudices in a male dominated feudal society, which is in turn used to keep them perpetually backward. Manoj Chaurasia’s account of Rabri was inspired by this. He gives an insight into the making of Rabri Devi. The narrative moves on gradually from Rabri’s childhood days to her assuming power and then as the Leader of the Opposition. He talks about the strength of character of this rustic and nearly illiterate housewife who rose from the ‘dungeons’ of an anarchist Bihar–to rule and lead. Manoj Chaurasia is a senior political journalist with The Statesmen. He is known for his incisive political reporting and sharp observations. He has successfully used his skills to write the story of Rabri Devi, the first woman chief minister of Bihar. He believes that Rabri is a representative of the women of Bihar and, therefore, deserves special mention. While passing through the dusty and muddy roads of Bihar, he has seen Rabri’s face in most rural women. Born on 5 January 1971 in Bihar’s Aurangabad district, Manoj got his early education from a village government school before shifting to Gaya for secondary education. He did his masters in English from Magadh University in Body Gaya. He has a flair for writing which found an outlet in various newspapers and magazines. After writing over a hundred articles on social and political issues, he decided to take up journalism full time and joined the Hindustan Times in 1994. He joined The Statesman in 2004. Although he is immensely impressed with Rabri Devi, his credentials as a journalist put a lot of responsibility on his shoulders to be objective in his assessment. 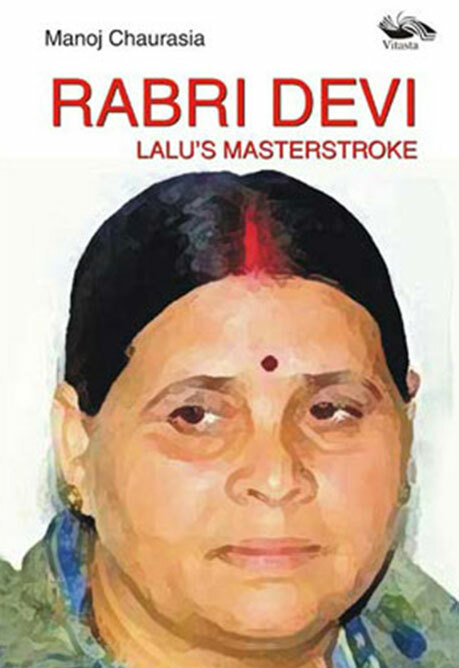 Through his book he has tried to present the strength and weaknesses of Rabri Devi. This is his first book.